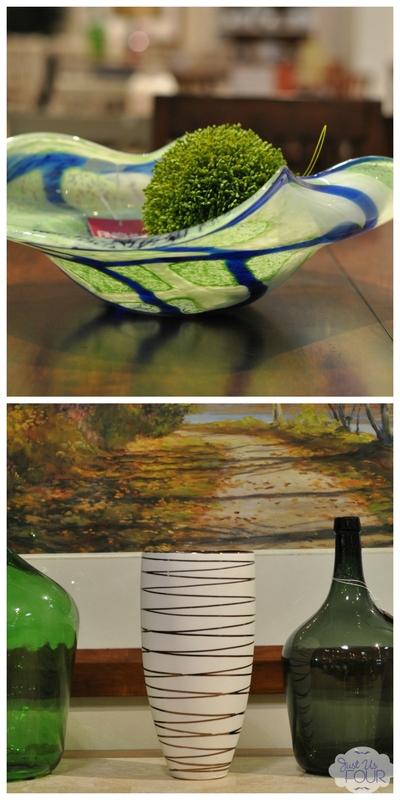 I am so excited to partner with Havertys to share ideas on how to refresh your home this spring. As always, all thoughts and opinions expressed here are my own. Spring is the time of year where I always have a major itch to update things around the house. I want fresh colors and to liven up my spaces after the long winter. During H’s gymnastics class recently, I stopped into my local Havertys store to see what they had to offer to help me change up my space for the new season. While Havertys carries lots of gorgeous furniture offerings, I was there looking for smaller items like pillows and florals. I found so many items to help me do a #HavertysRefresh with on trend colors and designs. So, let’s R-E-F-R-E-S-H! 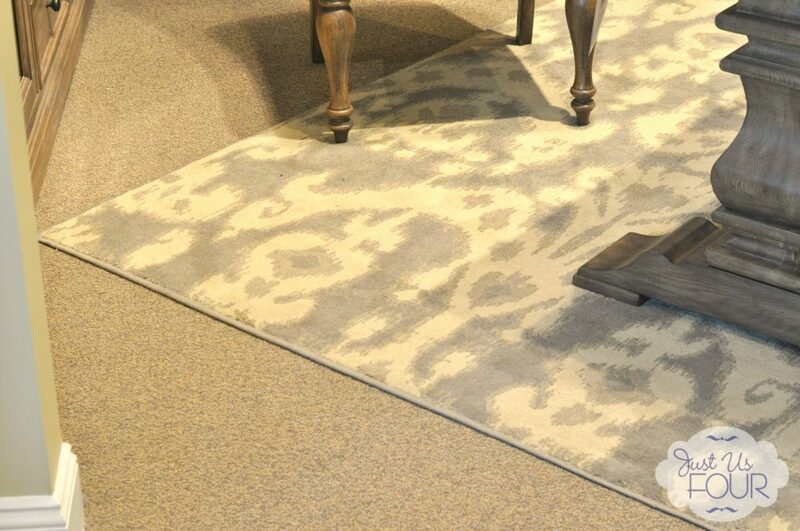 Havertys has an amazing selection of rugs in every taste and size you can imagine. 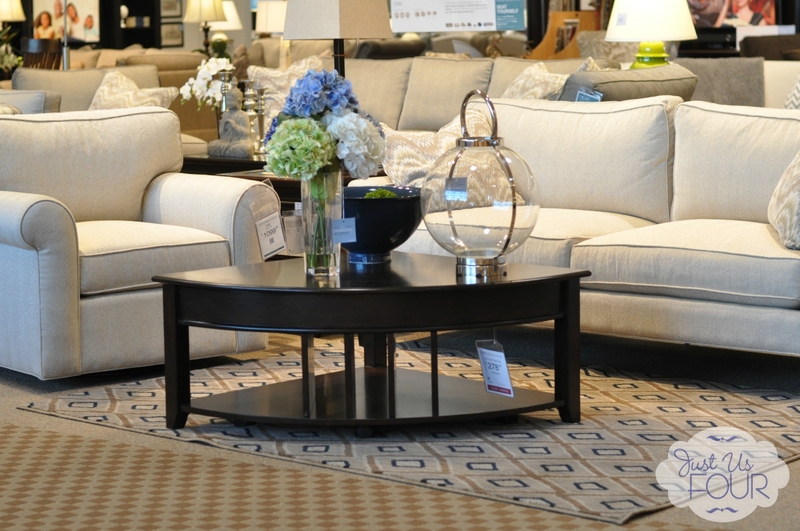 It was fun going throughout the store and seeing what rugs they pairs with different items. I also spent some time in their rug wall checking all the different textures and patterns they offered. It is so easy to stick with the same accessories. 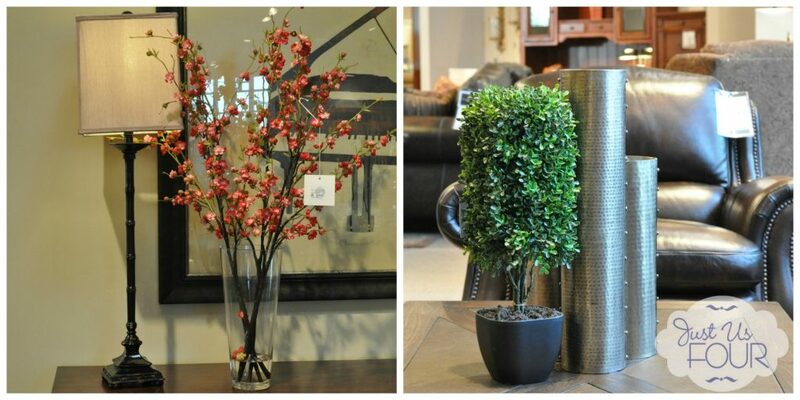 This spring, thing elevation and bring in some height with your accessories like tall vases or floral arrangements. They make the room seem taller and help open up a space. Florals are a great way to change up a space without spending a ton of money. You can change them with the season and really keep your home feeling cozy too. Havertys had a huge selection of different florals that would work in just about any space you can think of. Pantone’s color of the year definitely had a presence in our store. From floral arrangements to pillows to throws, it was easy to find a way to add the color of the year in my home. With room designs spread all throughout the store, it was easy to really picture how different items would work in a room. Plus, Havertys has recently introduced a design program where you can have an in-store or in-home consultation with a designer to put your room together right down to the smallest detail. In my mind, stripes are truly timeless and I use them a lot in my home. I like to break out beyond the traditional striped pillow though and get things like striped vases or even lamps. The Havertys sale associates and on-site designer were awesome. 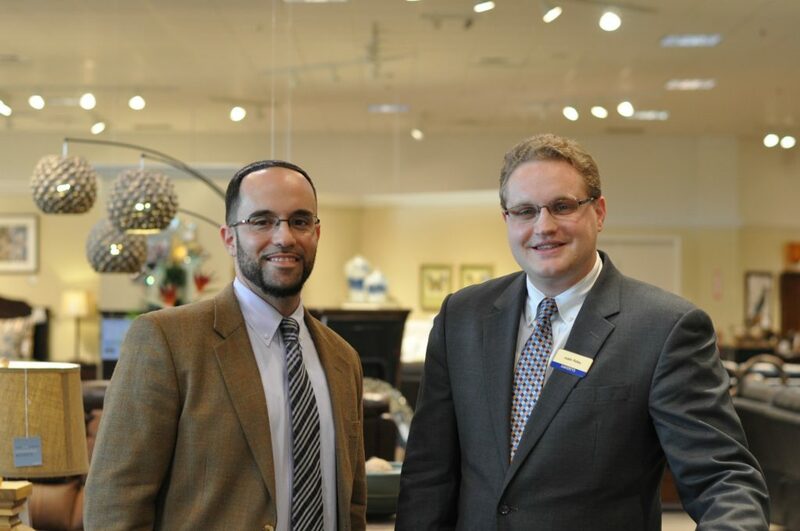 They are really there to help you find pieces in the store that will make your house feel like home. How do you change up your home each season? 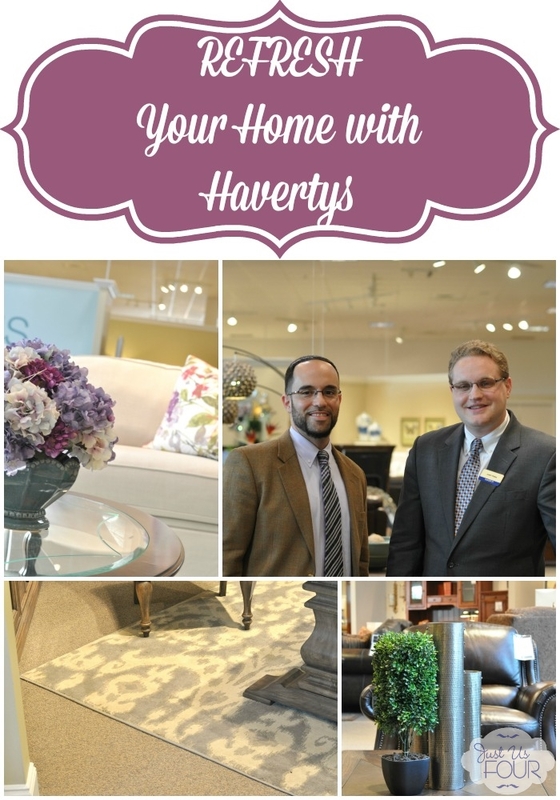 Have you checked out the new items and services Havertys has to offer recently? You can find more information about Havertys and the amazing items for your home that they offer by visiting them on the Havertys blog, Facebook, Pinterest and Twitter. You can also find their local store by visiting their website.